Heads up: I am an official ambassador for Dole Fresh. Dole provided me with compensation for my time. As always, all opinions expressed in this post are mine. Our family would definitely be described as movie lovers. Recently on a little getaway to the beach we had a rainy day and caught up on our favorite Marvel Movies. With the newest release coming at the end of the month, Marvel’s Avengers: Infinity War, we are excited not only to see it but also pleased to see DOLE® fresh fruits and vegetables getting involved to make healthy eating fun! While we aren’t always the picture of perfection when it comes to healthy eating, it’s something I strive for — offering good, wholesome meals that my family loves to eat. And sometimes, we don’t mind a little extra help in this area! That’s why this alliance with Marvel and DOLE® is so powerful for families fighting the good fight of nutrition in the home: Super Hero help is here. 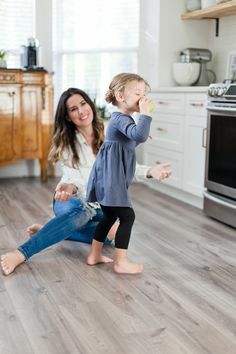 Though there can be the often-epic daily battles to make better food choices for our families, including a diet rich in fresh fruits and vegetables, making meal time fun is an easy way to incorporate healthy meals that truly peak our children’s interest. Dole Chef Mark Allison and registered dieticians at the Dole Nutrition Institute created 30 original DOLE® fruit and vegetable recipes directly inspired by Black Panther, Captain America, Black Widow and other Avengers characters. We tried our hand at one of them, and I was actually a little shocked by the response. I made a few of the “Sunrise Shield Pizzas” for lunch this week and with all of the ingredients (which was REALLY simple to put together), I just wasn’t sure if everyone would dive in. Just the fact that I said it was Captain America’s Shield piqued the boys interest. It was a crowd pleaser for all ages including our pickiest eaters… who asked for seconds and Skylar even said, “This is actually really good, mom!” Everyone fell in love with the shield. 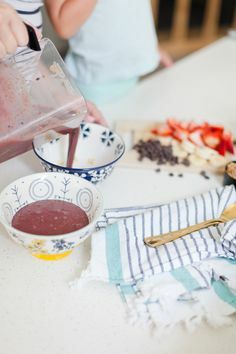 As a Mom who constantly looks for ways to balance the food game with our children, this healthy breakfast treat was truly a pleasure to make and serve… and okay, I ate one too, and it really was SO good. In the kitchen, and in just about everything I do, I look for time savers, but value proper nutrition and love the chance to infuse our meals with quality food that will power the hero within. 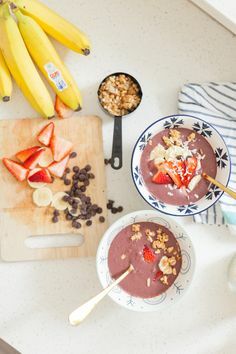 So, check out this simple recipe below (and the rest from DOLE®) which is easy to follow and can be used for breakfast lunch or dinner… and leave a comment below and share your experience with a Super Snack or Meal. I’d love to hear more of your ideas! Arrange banana slices on top, overlapping. You can find more of DOLE’s fun recipes here! We also have a Marvel Giveaway! In addition to Dole’s Powering the Hero Within, you can also enter to win a set of eight Marvel Mighty Muggs courtesy of Hasbro! Character assortments feature Black Widow, Iron-Man, Spider-Man, Groot, Hulk, Captain America, Dr. Strange, Rocket Raccoon, Star-Lord, Thanos and Black Panther… so go along with DOLE’s delicious recipes! Head to our Instagram page to enter to win!!!! This looks SO good and my kids would love this. Thank you so much for sharing. I think this looks like a great Saturday morning breakfast idea. This is the cutest thing! Her little face is just adorable. 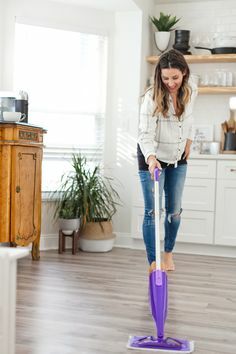 I can’t wait to try a version of this at my house. My kids love mandarin oranges and pineapple so I will have to try this out. Though I am not super good at making things beautiful–as I am trying to feed my kids. Love your kids’ expressions! These look so yummy (and pretty!) I love the pictures! So cute! Her little face is priceless! Way to go mama! Feeding her healthy food and she’s so excited to eat it. My girls would love this! I wouldn’t mind eating it either! Looks delicious! 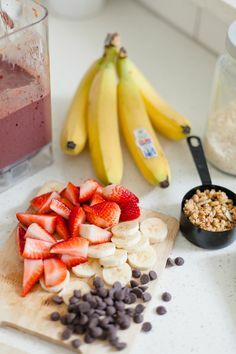 I’m not a breakfast eater…but these look so delish! I will have to make them for my little! Hey Tabitha! 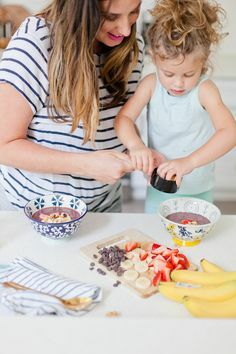 This recipe is so cute and I know my kiddos would like it because they love fruit AND waffles. Thanks for sharing this one!! Pretty sure both of my kiddos will love these… definitely a must-try! Ohh, Jennifer, that sounds SO good! Not only would my kids love this, but i think I would too! I love mandarin oranges. I never thought about having them on waffles! I really liked it too! It was really good! Oh my goodness this looks so delicious! Trying this right away!